Finally the weekend is here ! For me it started off pretty well , i spent an amazing day with my BFF talking and laughing. It was such a good change for me as for the past few day i have been stressing out a lot regarding all the pending posts and videos. I think too much and end up doing nothing, i keep waiting for the right time to record but someone or the other decides to pay a visit. Don't worry i'll not bore you with my life's drama. Today i wore a white top with blue jeans and denim flip flops, yesterday night i did some ombre mint nails and for today's accessory i wore a mint cuff from YouShine.in . I tried searching for the link but am not sure if its still available on the site. 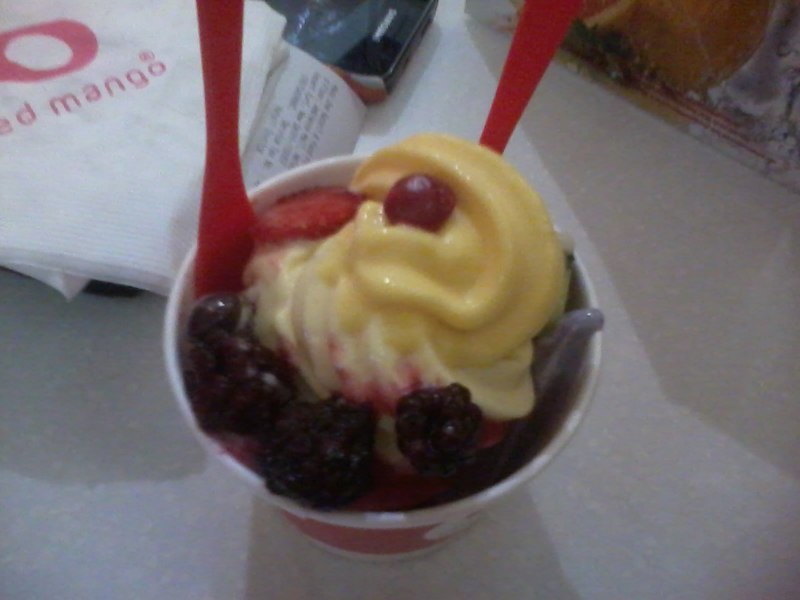 and , after a really long time i visited Red Mango , here is what i made.. So , these were the highlights of today and i have something super duper exciting lined up for tomorrow. I might take you all with me through my vlog. Hope you all have an amazing weekend.